This design for 4 Studio learning suite is based on the recently published MoE Learning studio Design Guide and 21st century learning principals, and adapted to suit the site and for the specific requirements of the Adventure School. Responding to orientation, The Learning Centre is arranged to enable the teaching studios to be orientated towards sunlight whilst avoiding western sun. 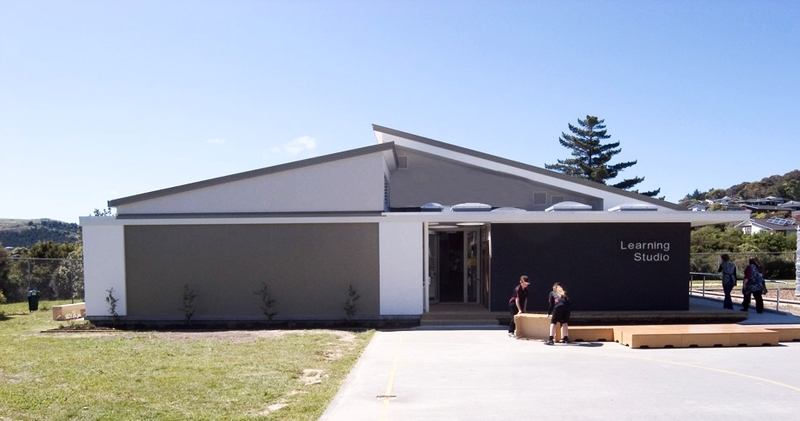 The learning studio is designed to the latest sustainable principals, including designed to an educational Green Star 4 Rating. A bright interior, combined with playful colour and form is expected to provide a pleasant and stimulating learning environment.